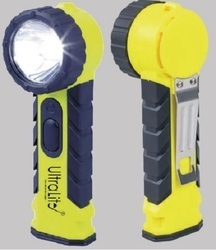 Banking on our vast domain expertise, we offer functionally advanced range of Flash Torch that are durable in nature. Our entire product range ensures excellent illumination capacity and is easy to use. These products are recommended amongst the clients for their longer working life. We are engaged in importing and supplying a wide assortment of Rubik's Flashlights. The unique flashlights/Torch which gives the 360 degree branding option (3 cubes x 4 sides) and playfulness of the Rubik's cube with a rotating middle block. A ideal promotional gift. Extentable, retractable, LED , button battery Torch for Pharma and household use.